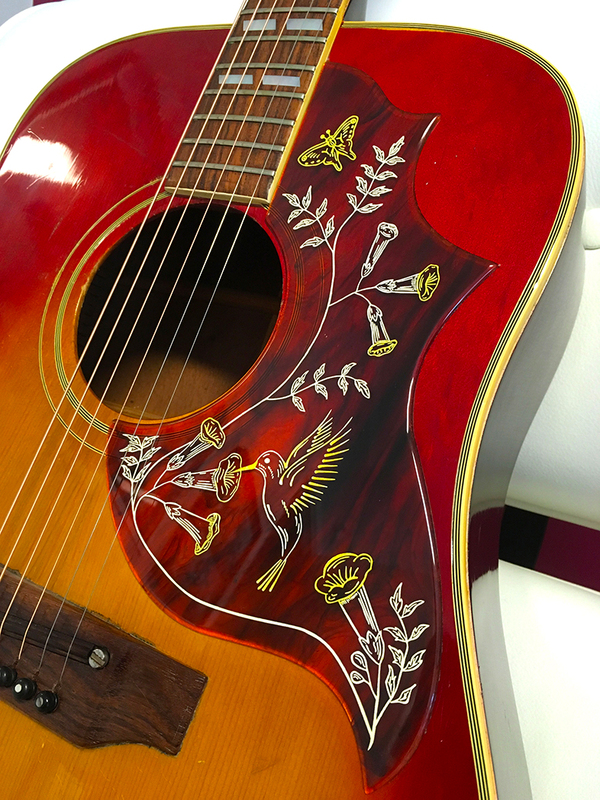 MV Custom YELLOW Hummingbird Hand Engraved Pickguard is made with the highest quality pickguard material. 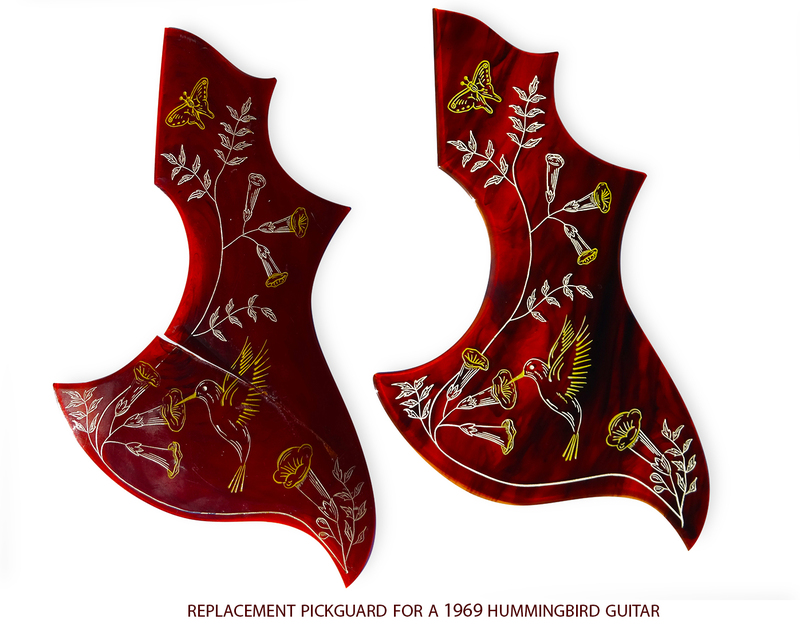 Designed to match exactly the original vintage layout of the vintage red-style Hummingbird pickguards of the 60′s. 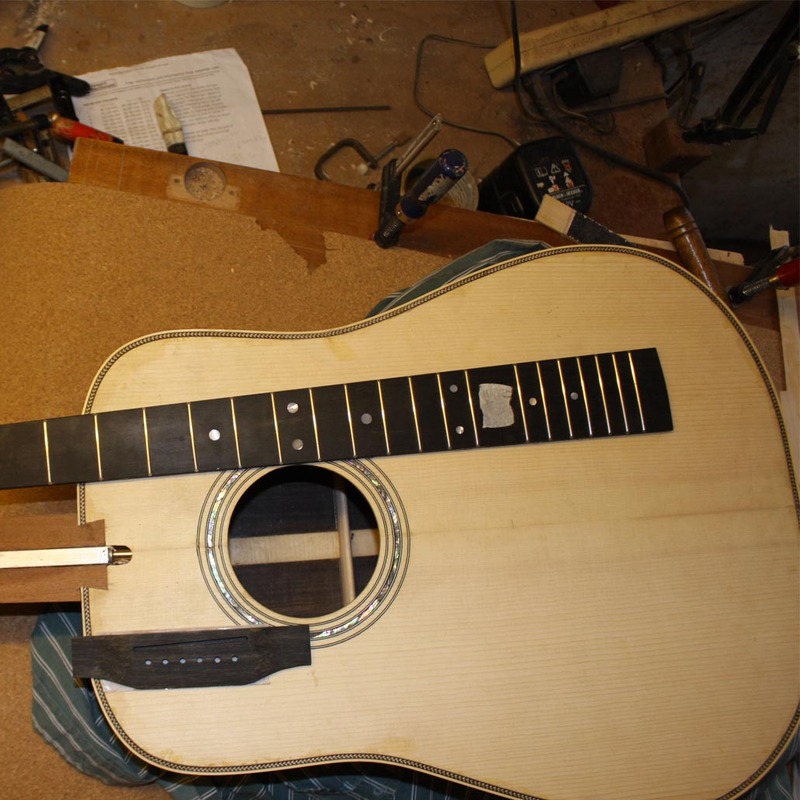 Nowdays all the mass production pickguards are printed on plastic and the design is fading with the use. 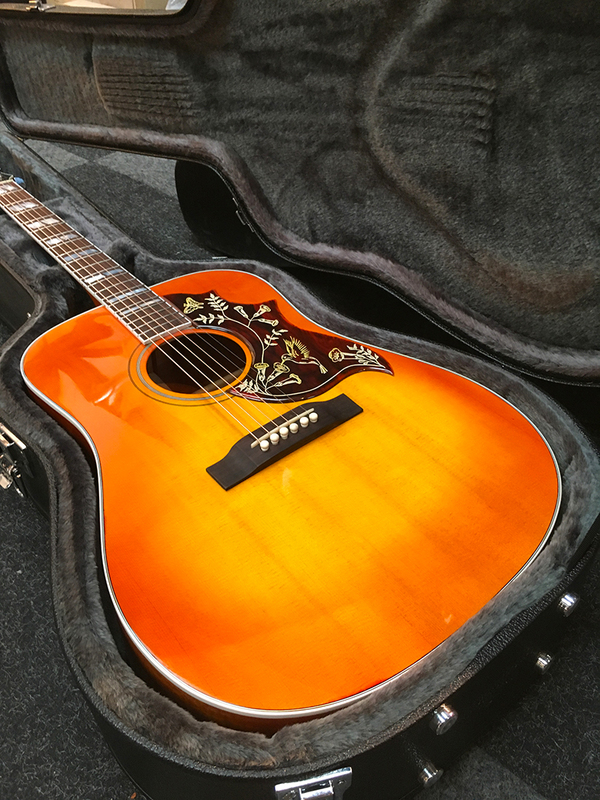 This engraved Pickguard ensure twenty-five years of use without worries of loosing the atractive appereance of this unique vintage design. 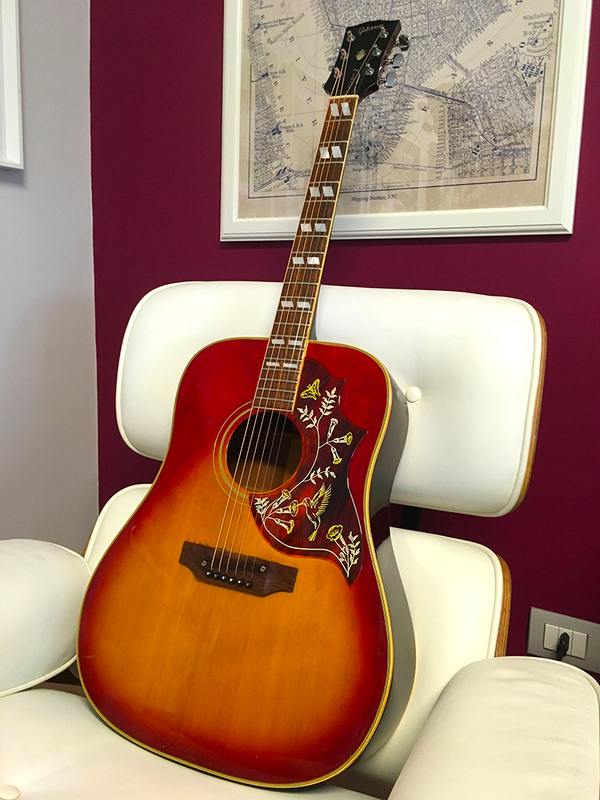 Yellow and white engraved layout design, vintage red style material. 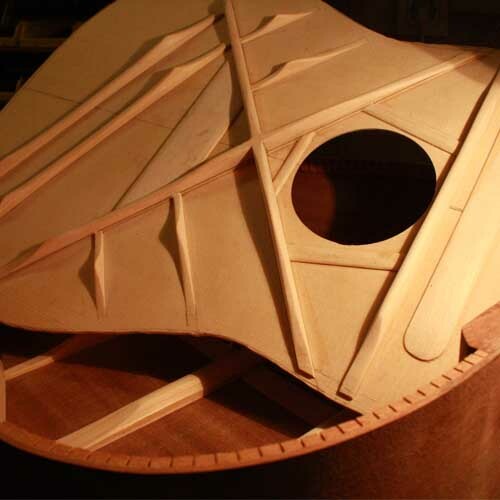 Note: This is a solid non-laminated material; translucency will vary with the darkness of the instrument body. 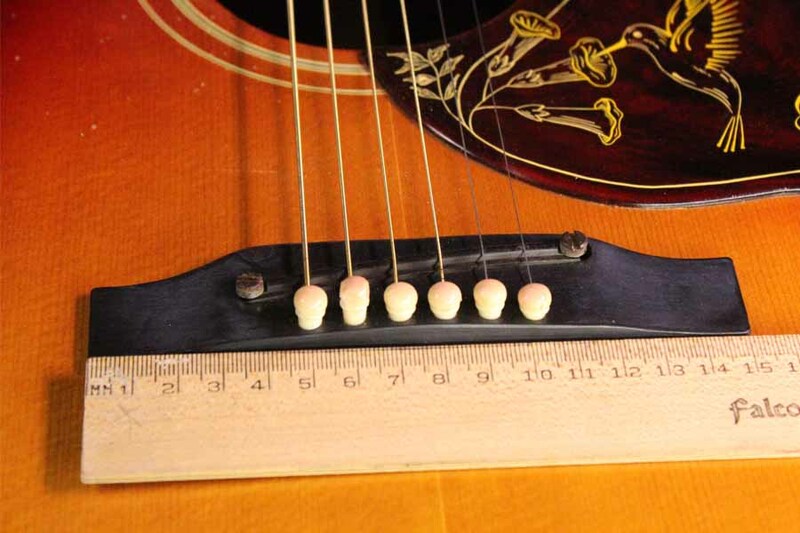 Because this tortoise is handmade, individual thicknesses may vary slightly 3mm (+-0.1mm). 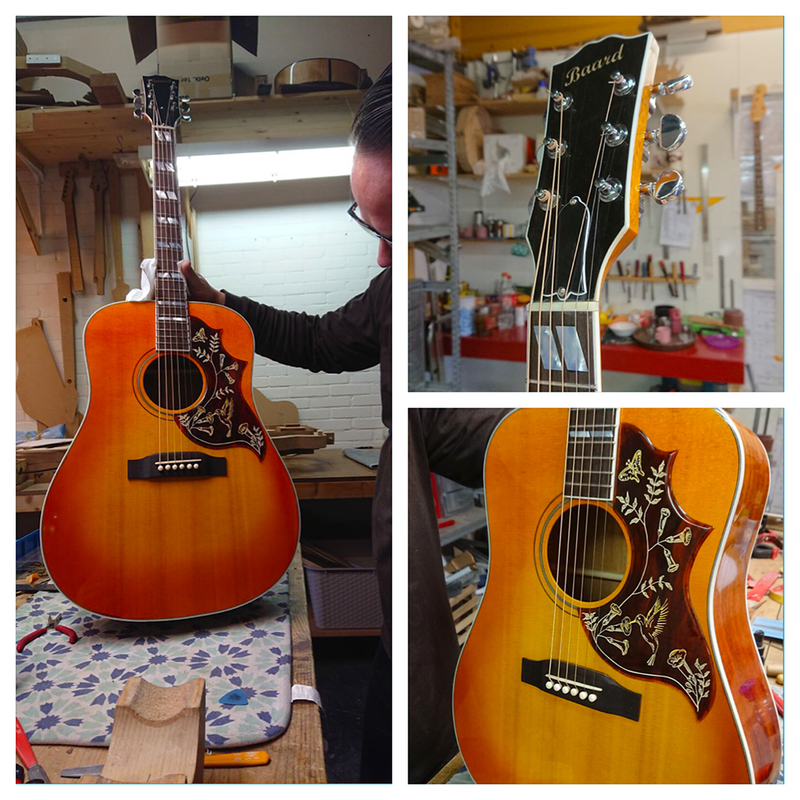 Hand engraved layout design, Handpainted with high quality white and yellow color. 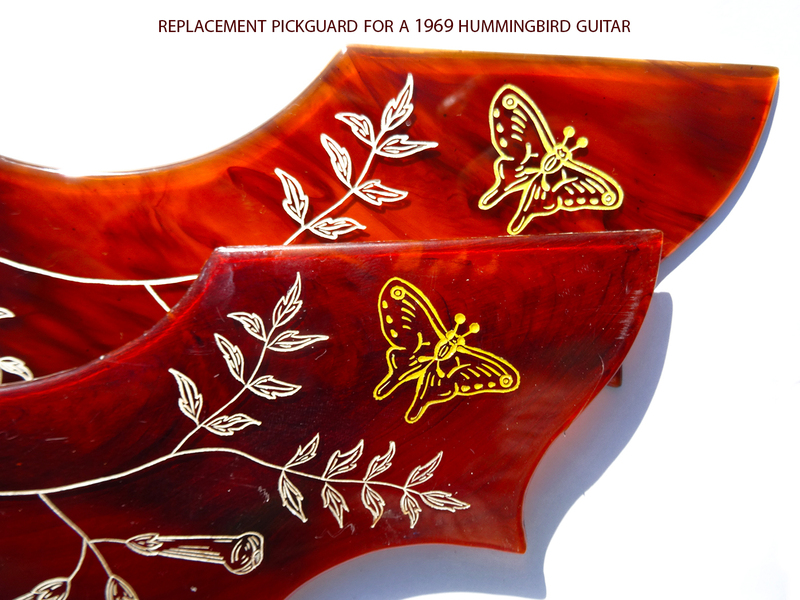 I am very impressed this is a real Hummingbird pickguard. 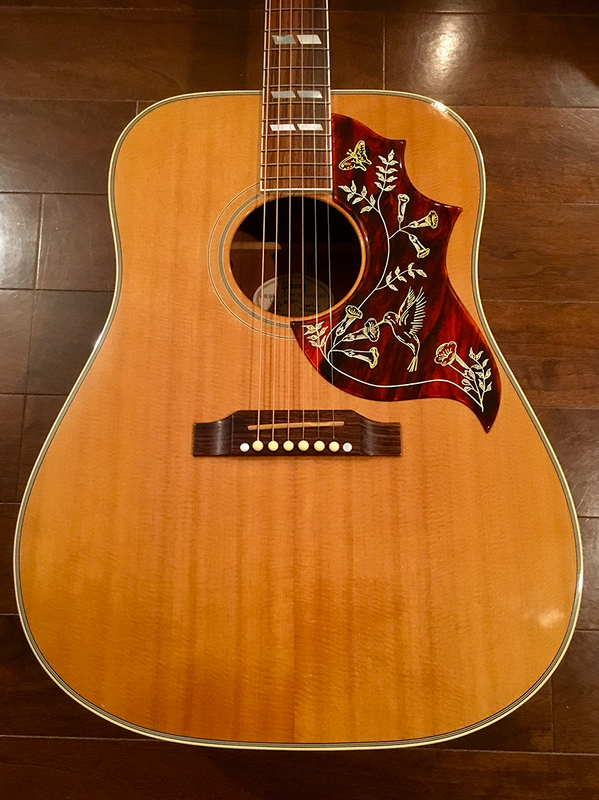 If you have been trying to find a Gibson Hummingbird pickguard this is better than the Gibson factory pickguard because the art work does not scratch off in fact it is better than the Gibson pickguard and a bit less cost. 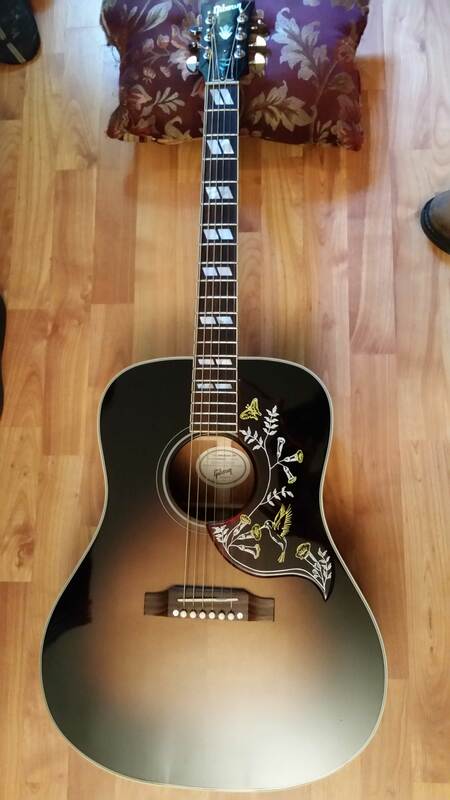 I bought a Gibson Hummingbird pro and just had to have this pickguard as the one that comes with the pro model has a plain looking pickguard. 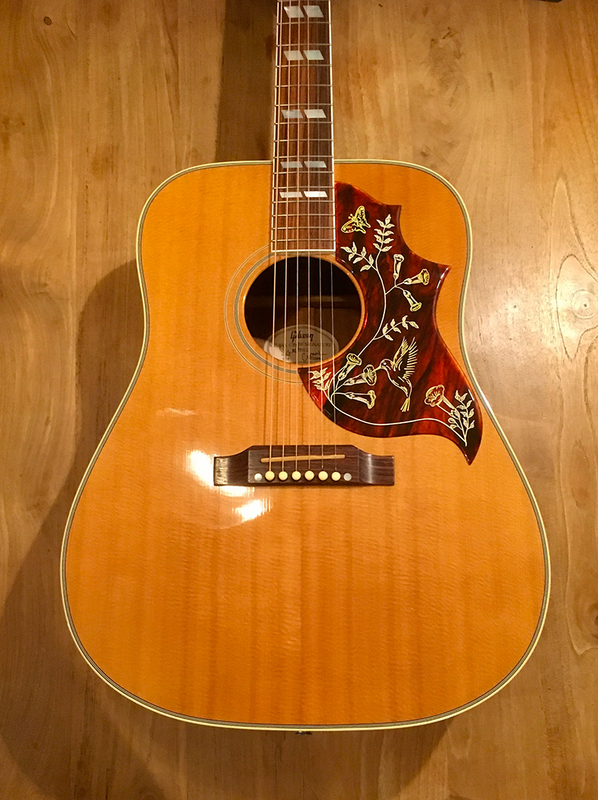 My old pickguard was easy to remove with a little heat from a hair dryer. 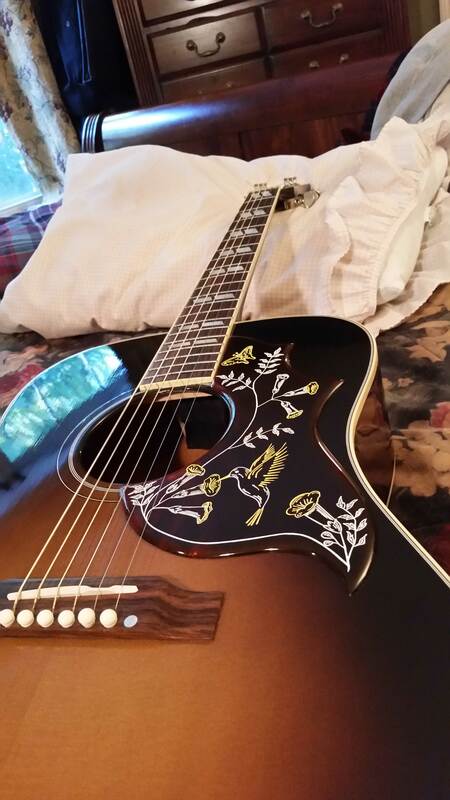 (Carefully )This new one was an easy peal and stick very simple.I love this I get alot of compliments on this and I can’t stop looking at it.I finally found a guitar that plays and sounds incredible and thanks to this beautiful pickguard it looks just perfect. 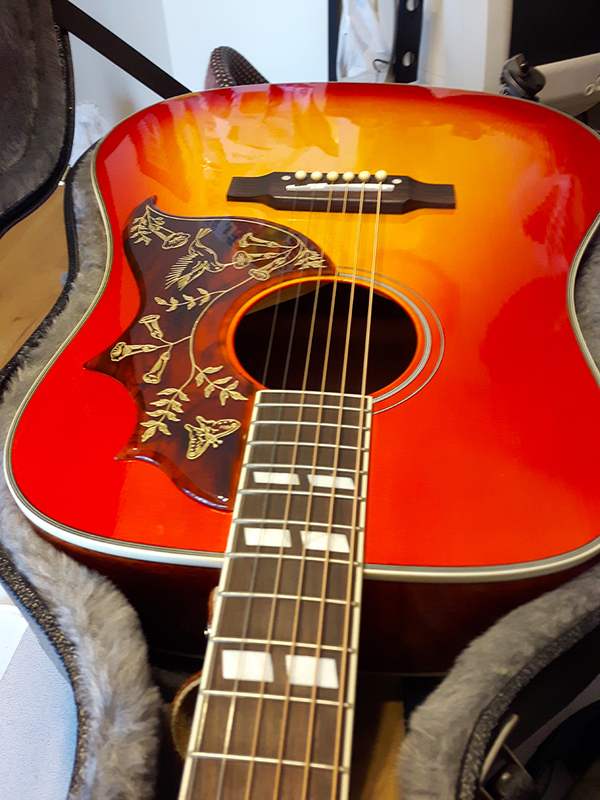 Customer service always answered my questions and this pickguard is well worth the money and the waiting time for them to produce it. 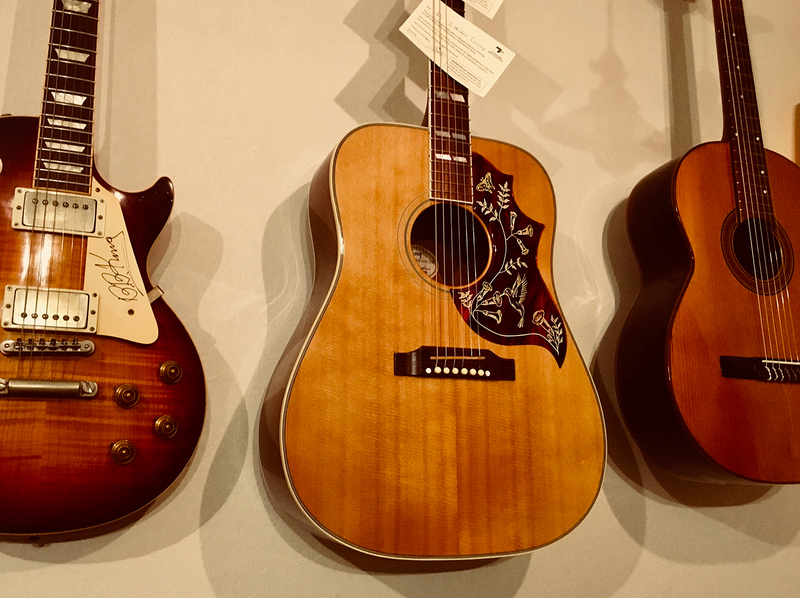 Thank you MV Custom Guitars! 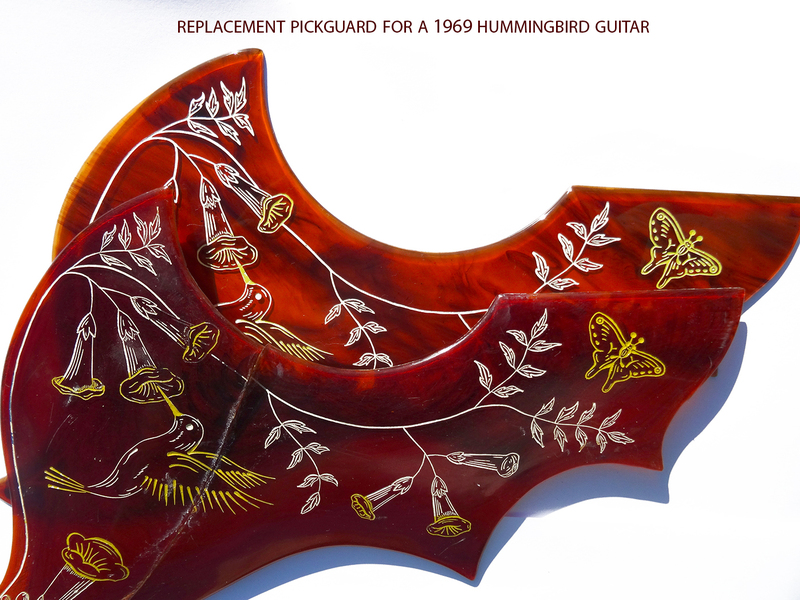 Replacement pickguard for a 1969 Hummingbird. 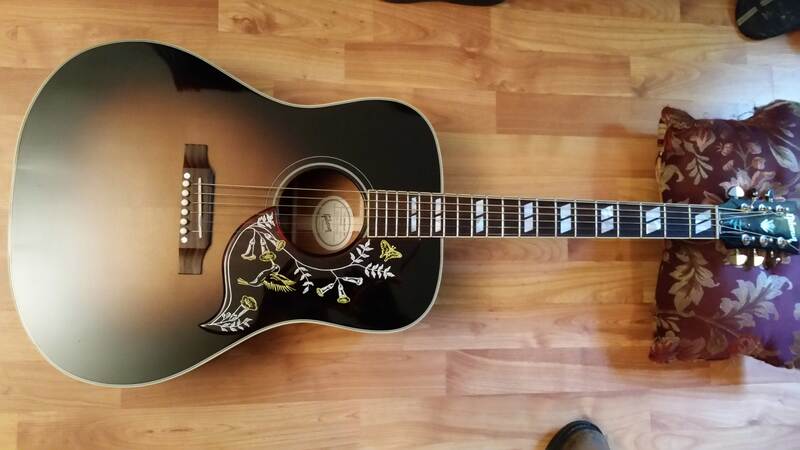 Here it is my old lady with its new pickguard just installed. Thank you again for the excellent work!